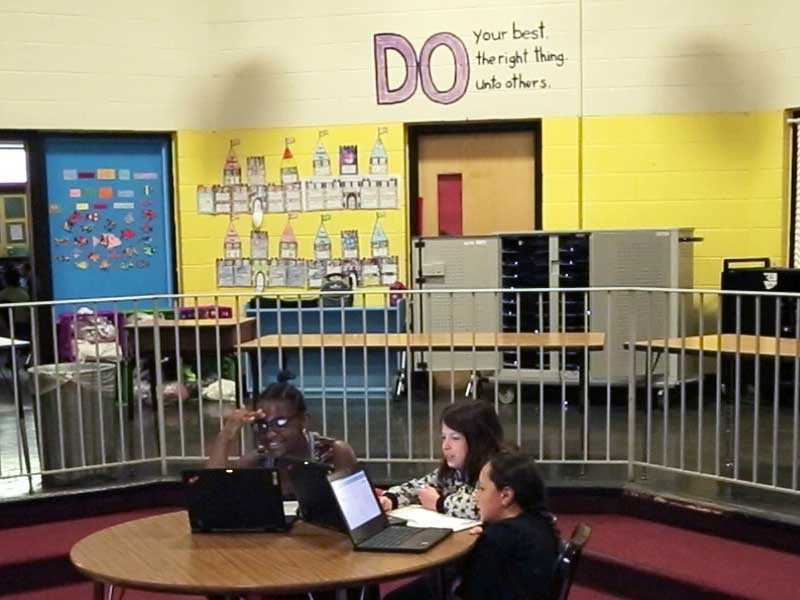 Pleasant View has seen a dramatic change since it implemented blended learning. As recently as 2010, 17% of 3rd graders at Pleasant View were proficient in math. Though only a single grade and subject, it was representative of the challenges the school faced. Realizing big changes needed to be made, the school leader enlisted students, teachers, and families to help create a plan for improvement. That plan focused on their largest area of weakness: math. Pleasant View started to change its math instruction with a focus on student engagement through the station rotation model. Seeing students respond positively, teachers began to iterate and improve instructional practices. Iteration is often easier said than done as the team had to continually refine their approach to best meet the needs of their students. This environment helped create a culture of high expectations, as evidenced by the 3rd-grade math scores, where proficiency grew from 17% to 49% in just three years. Though the tests have changed as Rhode Island has implemented Common Core State Standards, Pleasant View is continuing to see great progress through other data measures (such as the STAR test). As a result of the successes of the early adopters, others began to express interest in blended learning. Through the help of other teachers and school supports, these teachers are now implementing blended learning. This, in turn, has helped Pleasant View create a better teaching and learning environment: one that provides both teachers and students with more voice and choice.